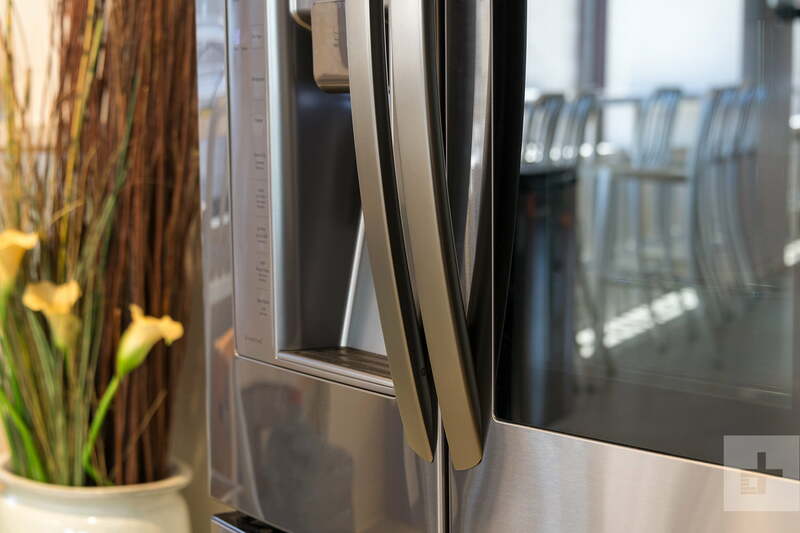 The task put before LG’s appliance research and design team was as unusual as it was daunting: Create a window for a refrigerator that goes from black to see-through when you knock on it. Make it stylish. Oh, and because it’s going to be placed in a refrigerator, of course it needs to withstand extreme temperatures. For LG research engineer Youngkwen Kim, that last one was the biggest sticking point: Cold inside, warm outside, and a thin profile meant the first versions of the window would sweat like a cold can of Coke. 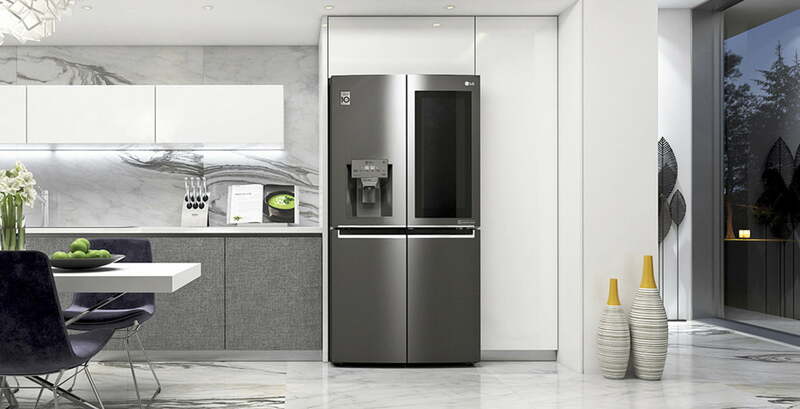 The LG InstaView Door-in-Door fridge, introduced in 2016, was the result of Kim’s and others’ hard work, and it has become the iconic parlor trick of LG’s flagship refrigerator. The feature allows the consumer to see what’s inside without opening the fridge, and the tinting hides clutter when it’s not in use. 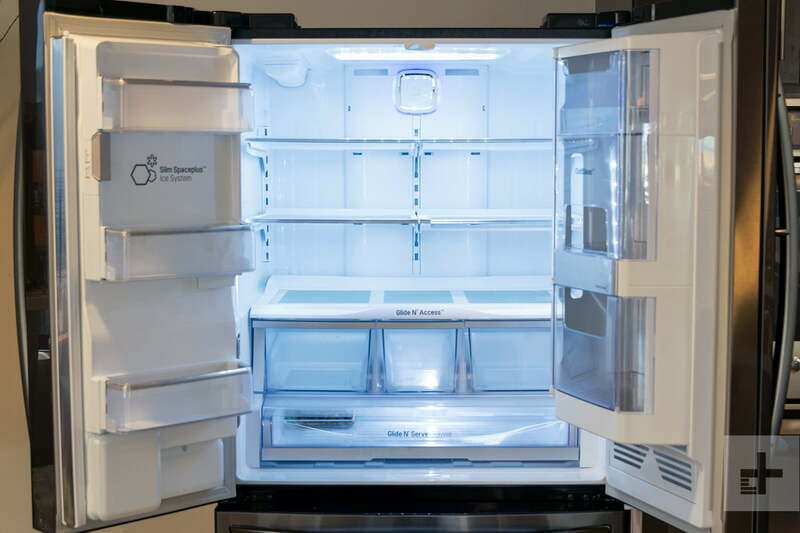 An elite model includes sensors that allow you to open the fridge automatically with just your foot. Concept models yet to be released turn the humble glass window into a full-fledged computer touchscreen, complete with Amazon Alexa speaker. It wasn’t about putting a bunch of engineers into a room. They’re all part of LG’s Signature Line, which also includes a dishwasher, washer and dryer, the famously thin and crystal clear OLED TV, an air purifier, oven, and more. 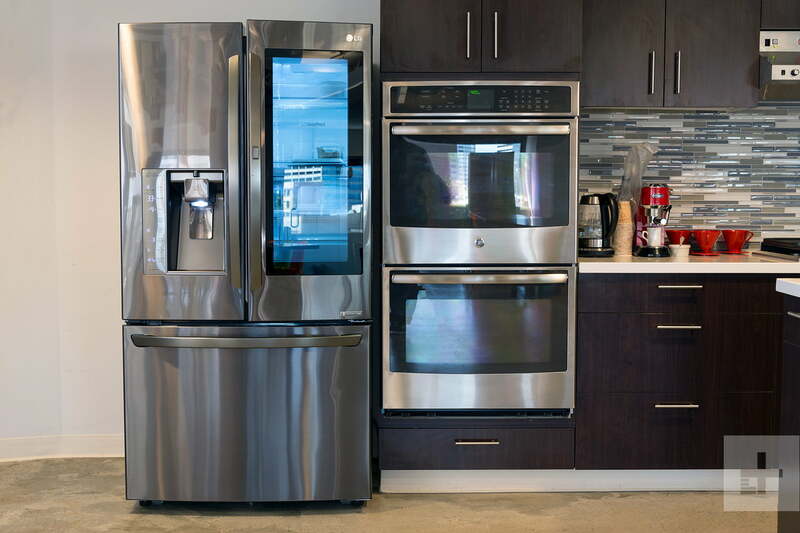 With these painstakingly engineered products, LG tried to elevate itself above row after row of similar white appliances at the big box stores. It worked. And the company did it by using new technology to fix pain points customers didn’t even realize they had. Before it was the second largest manufacturer of TVs in the world, LG was merely GoldStar, the plucky maker of budget electronics from boomboxes to microwaves. In 1995, it rebranded to LG and began its march toward TV supremacy. And in 2001, the company developed its first refrigerator powered by an Inverter Linear Compressor, a quiet, energy-saving technology that cemented LG’s reputation for cutting-edge appliances. But the company hadn’t stopped working its way up the food chain. At some point in the last 10 years, LG spotted a gaping hole in the market it could fill. Most companies made mass-market appliances that did the job on the cheap, with few differentiating features. A handful of others, like Sub-Zero and Wolf, made exquisite, overengineered luxury appliances that could cost up to $10,000. But nobody was building appliances for the customers in-between — “the sensible rich” as Ken Hong, head of global corporate communications for LG, calls them. LG would. And the concept for the LG Signature line of appliances was born. According to Bruce Chang, program management officer of LG Signature, the first LG Signature prototype appliance was created in 2015, and in 2016, three items were announced — the TwinWash washing machine (known as the SideKick in the United States), an air purifier, and the InstaView fridge. LG realized that people washed their active wear separately and would likely appreciate the ability to wash two loads at once. LG took a different approach to creating the products. It wasn’t about putting a bunch of engineers into a room, and it wasn’t about how much money the products could make for the company — at least not at first. It was about observing customers to figure out pain points, drawing inspiration from the outside elements — they even encouraged their employees to watch science fiction movies for ideas — and adding extra high-end touches to existing appliance models. That meant in some cases observing customers doing laundry, or opening their fridges to figure out problems the customers themselves might not realize they had. 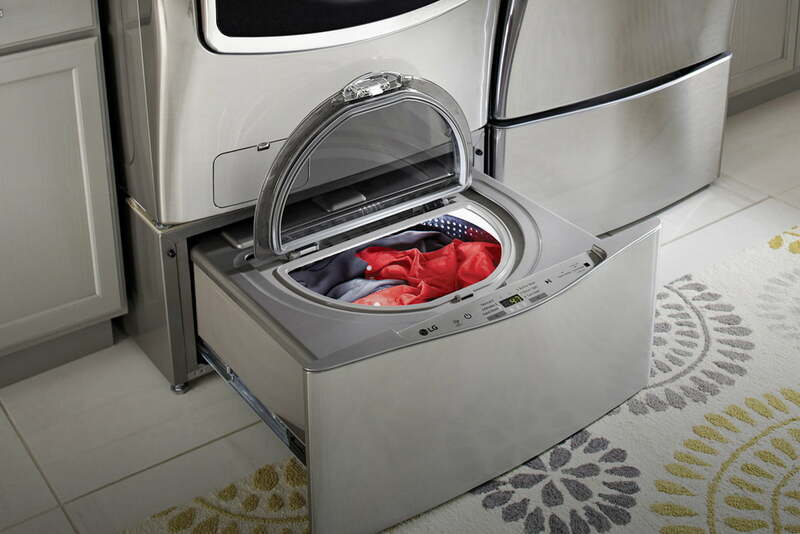 That’s how the LG Sidekick came about – observers realized that people washed their active wear separately and would likely appreciate the ability to wash two loads of laundry at once. But how, exactly, does LG’s Signature line differ from their regular line of appliances? For one, Signature units feature a textured stainless steel finish, which adds the illusion of a textured look but with a smooth feel. After that, it depends on the appliance. For the company’s QuadWash dishwasher, for example, there’s a regular model (which we reviewed and loved) and an LG Signature model. The Signature model has cleaner lines and features technology embedded that makes it run much quieter than the regular model. The LG Signature Sidekick washer-dryer combo has a more seamless design — literally. There are only three parting lines or seams, whereas the regular version has 12 or more parting lines, according to Wookjun Chun, team leader of the Living Appliance Team at LG’s H&A Design Center. The LG Signature version of the appliance is also positioned to be a bit higher, so the consumer’s toes don’t get too close to the washing machine when they’re loading laundry. Again, they added this feature after watching consumers interact with their washing machines. The differences between the regular InstaView and LG Signature InstaView fridges are the most obvious. There’s of course the textured stainless steel. The cabin size is larger, and it’s made of stainless steel rather than plastic. But the LG Signature version features another nifty party trick that you can’t find on the regular version: There’s an auto door open function where you can lift your foot under the fridge to get it to open hands-free. It’s great if, say, your hands are full of groceries and you need the fridge opened without setting things down first. Again, this feature was born after LG observers watched people interact with their fridges. And when creating the auto door feature, designers incorporated sensors into both the top and the bottom of the fridge to take into account the fact that kids or pets might accidentally trigger the auto-door option while walking by. 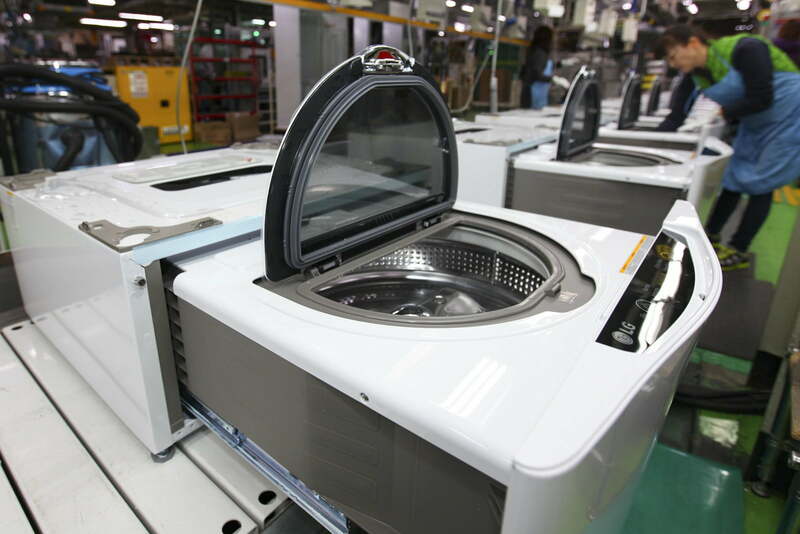 The speed at which LG’s appliance factories in Changwon, South Korea churn out washing machines and fridges per day is impressive. Conveyor belts, robots, and humans work together in harmony to churn out thousands of new units daily. The fridge factory alone produces a whopping 2,000 units per day and 10 million per year. That’s a lot of fridges. 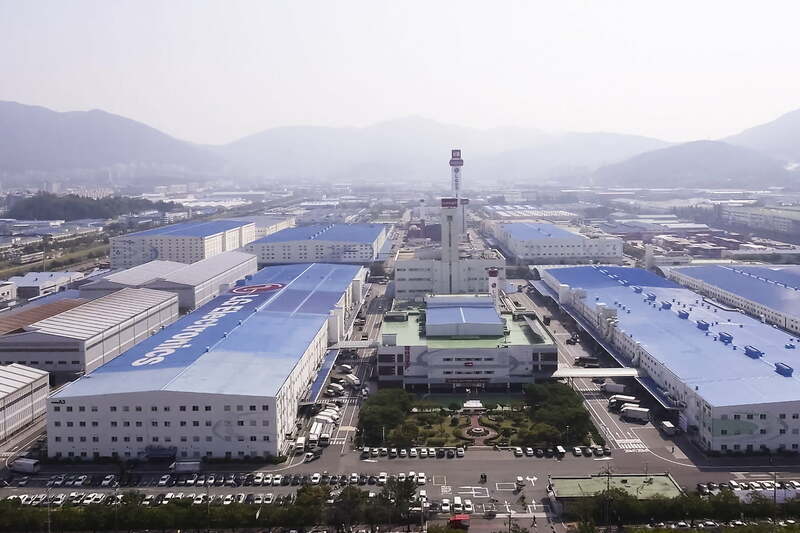 As with any new product, for the engineers and designers behind the LG Signature line, it wasn’t just about the design and functionality of the new products, but also about how to mass produce models made of higher-end materials. And throwing smart technology like Wi-Fi connectivity throws a wrench into the mix. “Having a Wi-Fi within a product, it actually requires more components from partners,” Kim told Digital Trends. Every time more features are added to a product, his team expands even more. 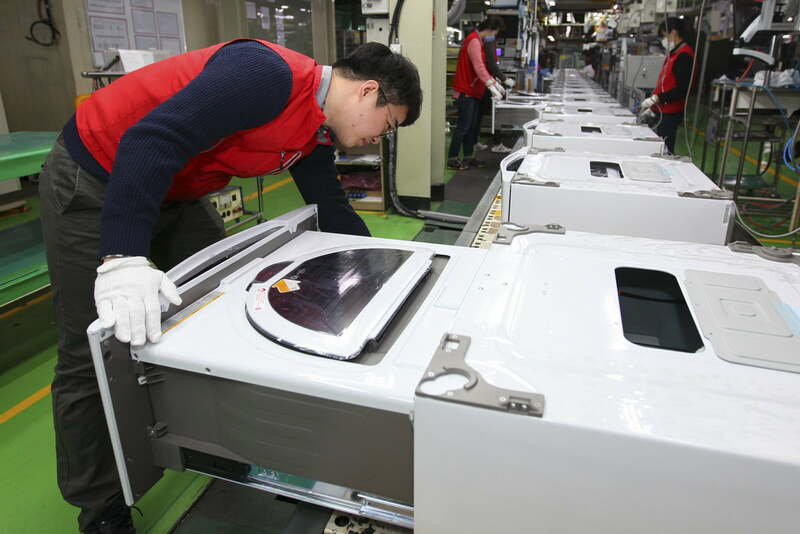 Conveyor belt at the LG Changwon Factory in South Korea where appliances like the LG SideKick are assembled. 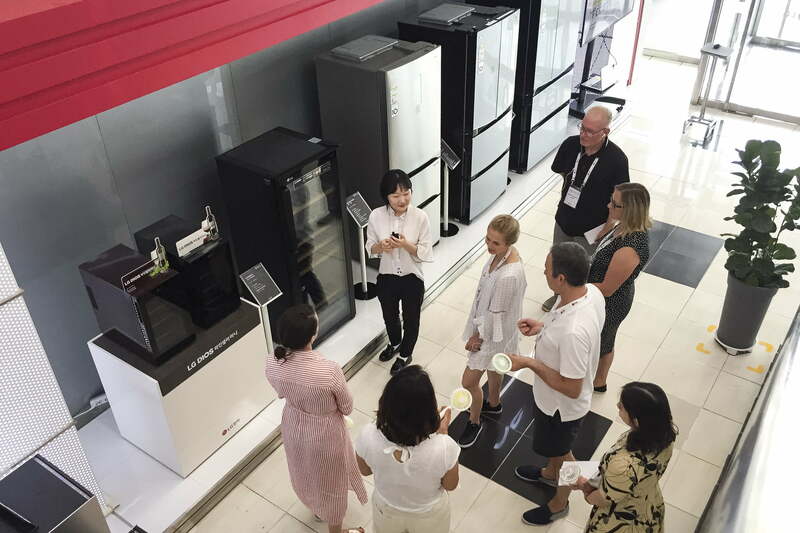 Chang insists that while LG’s CEO isn’t worrying about sales of its LG Signature line, the appliances are exceeding sales expectations, with the InstaView fridge and SideKick washing machine leading the way. In the meantime, the company is continuing to add new products to the line, with new products to be announced in a couple weeks at IFA in Berlin, the world’s largest technology conference. Like the LG Signature products before them, the new product was created by observing customers’ needs. LG executives are hopeful that consumers will invest in LG Signature appliances. In the meantime, they plan on continuing to encourage employees to draw inspiration from nature, from sci-fi flicks, and even from customer homes.